Before Satyan (name changed) dropped out of school after failing Class 5, he only used to smoke cigarettes. Cannabis and heroin use started afterwards. To finance his habit, Satyan stole money from home (spent Rs 100-200 every day) for his substance abuse. He had even stolen goods once, got caught and was beaten up. He said that he always looked down at the floor while walking through his neighbourhood. His relationship with family members had deteriorated due to substance use. He was often beaten up by his family in an attempt to make him give up substance use. It is easy to guess that Satyan is not alone in his struggles. Rediff Labs decided to investigate the issue of child drug abuse in India in an attempt to quantify the seriousness of the issue. The first study we looked at was conducted National Commission for Protection of Child Rights (NCPCR). It was the first nationwide, comprehensive study on the subject with data collected for 4,024 child substance abusers from 135 sites across India. Here it is important to emphasize that all the percentages mentioned indicate the prevalence of substance abuse in a sample of child substance users and do not represent its prevalence in the entire child population. However, some substances, though used less, pose a greater risk to the user. To understand the varying dangers of different drugs, Rediff Labs looked at data provided by The Lancet, a medical journal from the UK. The Lancet study provided quantified data for Physical Harm, Dependence and Social Harm for a variety of substances commonly abused. (This Lancet study was also the basis of classification of drugs in the UK.) 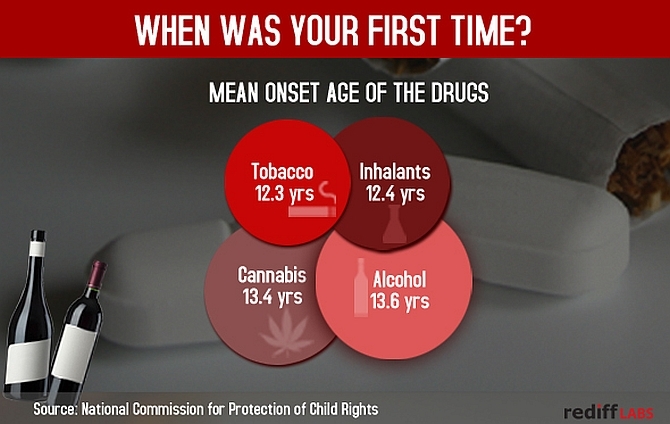 The image above shows the scores for substances most commonly abused by children in India. 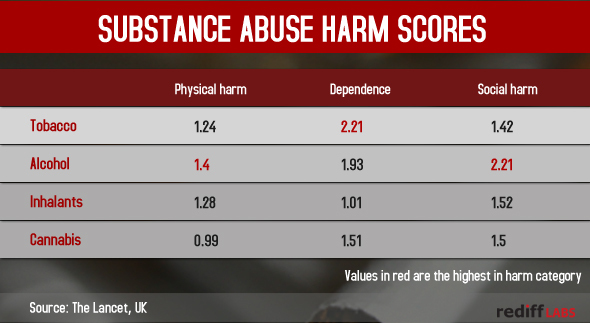 To calculate the true burden of drug abuse on the children of India, Rediff Labs developed a metric -- Extent of harm -- which multiplies the percentage of children from the drug abusing children sample with the mean harm score for each substance. It is clear to see that tobacco with the highest percentage of child users and the highest dependence poses the greatest risk to child users in India. This is followed by alcohol with the second highest percentage of child users and the highest social harm. Inhalants rank third with the third highest percentage of child users and the highest physical harm. The first substance used by most children was tobacco with the mean onset age 12.3 years. This was followed by onset of inhalants at 12.4 years, presumably attributable to easy access to eraser fluid, glue, etc. The mean onset age for cannabis and alcohol was 13.4 years and 13.6 years respectively. How do you pay for the habit? When inquired about how they managed expenses during the last one month, 45.5% of drug using children said that they earned money themselves. 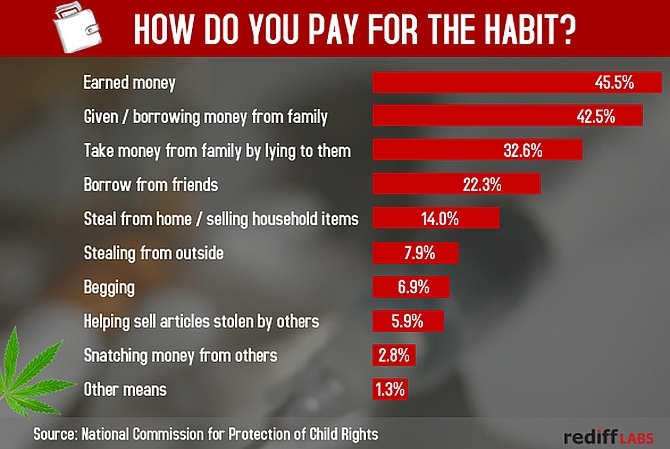 42.5% of them said that they were given money by family or borrowed from them, 32.6% reported taking money from family by lying to them, 22.3% borrowing from friends, 14.0% reported stealing from home or selling household items, 7.9% reported stealing from outside, 6.9% reported begging, 2.8% reported snatching from others and 5.9% reported helping sell articles stolen by others. How do you earn the money? Since 45.5% of these children said that they earned the money themselves, it begs the question – what kind of work they were doing. Rag-picking, unskilled work, work in dhaba/restaurant and street level vending was common. 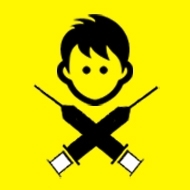 74% of the children who used drugs reported they had no contact from an NGO. About half (49%) did not have an access to any external resources for healthy recreational interests. 45% reported that someone closed to them had died. 36% had faced violence from the police or community. 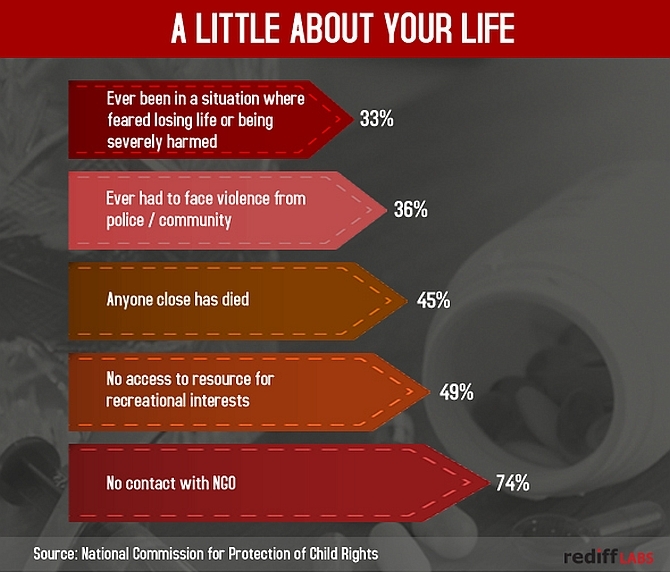 33% reported being in a situation where they feared losing their life or being severely harmed. Satyan had never sought treatment in the past but presently wanted treatment to give up substance use. The family had tried to send him to learn some vocational skill on 2-3 occasions but was not successful. While there are still no reliable estimates of how many more children are going through the same struggle as Satyan, the studies quoted in this report provided a window into the lives of those who might be along with an estimate of the seriousness of the issue.